I know I am prone to being a bit of a negative Nancy (the beginning of this post sounds like that's what I'm going to be; but try to stick with me). It's something I try really hard to work on every day. Some days, she wins - other days, I win; and some days, reality hits me so hard in the face I just can't believe how self-centred I can be. I talk about my struggles with mental health and motherhood and they are real and incredibly difficult for me. Then I read stories and know the absolute heartache and hurt that our world is filled with. War, poverty, domestic violence, disease, terrorism, infertility; the list goes on. There come times when I realise I need to take a step back and appreciate all the things I do have. A home, family, food - basic necessities for safety and survival at my fingertips. Things I often don't give a second thought to. I know I have struggled with lots of things when it comes to being a Mum, and I also know there are women who would kill to be in the position I am and can't be due to physical limitations or other medical reasons. I know there are women who have lost their babies and would think I am the most ungrateful person on the planet. I know how lucky I am. I do struggle and I share that freely - but I also want to share the good things; and there are a lot. 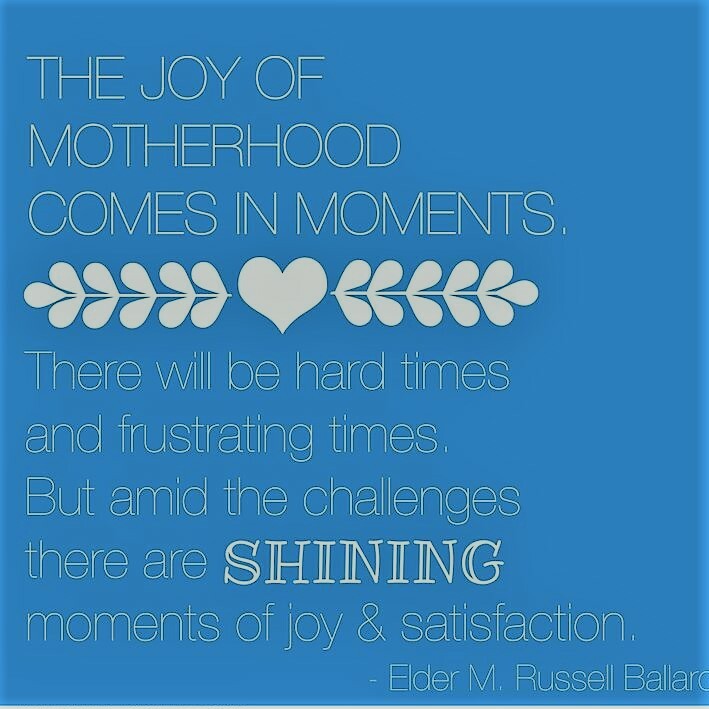 Some might sound cliché, others random, but these are some of the things that I love about motherhood. The snuggles - There's really nothing like them. This goes for all babies, but when it's your own, the cuddles take on a whole new meaning. The knowledge that your arms are who this child will want as they grow, that they will depend on you and trust you no matter what; even if you feel like you have no idea what you're doing, they won't care. They will want you to hold them and comfort them and their little head snuggling into your shoulder voluntarily is the most wonderful feeling. The love others have for him - Seeing the excited look on people's faces when they see Isaac is really beautiful. Watching special relationships form and bonds develop with this little person you've created is pretty amazing. Knowing that all of these people love and cherish my son is such a comforting thought. He is surrounded by loving family and friends with so many people to support him as he grows, and for that I am truly grateful. The milestones - My iPhone calendar since Isaac was born is littered with events like "started pointing at things for the first time" and "cut top right molar". Not overly interesting to most people but these little things are so exciting as a parent. Every learned skill and physical change is cause for celebration. As Isaac gets older the joy he gets from mastering things like climbing onto the furniture, seeing our reactions when he says a new word or successfully puts a spoonful of food in his mouth is literally so cute it makes my heart want to burst. Changed perspectives - Being responsible for someone else's happiness and wellbeing is a huge deal. Things change really quickly and some things I used to think were important now don't even cross my radar. My focus is on Isaac and what I think is best for him and that is what comes first. I have let go of a lot of guilt when it comes to social gatherings (not just because of crippling agoraphobia) because I know that I don't want Isaac in certain environments. Putting my son before any other person and their wants/needs is something I am proud of and will continue to do as he grows. His sense of wonder and excitement - Watching Isaac learn is such a privilege and the intense curiosity he has about everything around him is something that is so beautiful to watch. Every little thing needs to be explored and understood. Seeing him put things together like the fact that shoes need to go on his feet, not in his mouth seems like the biggest deal. Him looking up at me with the proudest look on his face as he sits down with his shoe on top of his foot is beyond adorable. Even if he doesn't know exactly how details work, he is getting the general idea of so many things. Playing his favourite games over and over again and watching him figure out how to build Lego and take it apart; the intense concentration on his face as he explores new toys and books is so special. Just seeing him in his own little zone, playing away until he decides he wants my attention makes me realise how quickly he is changing from a baby into a toddler. The way that I miss him - This one might sound a little bit odd, but I have mentioned before that sometimes I crave a break. That sometimes I feel like I can't handle another day and I just want a breather. The minute he isn't with me, however, I miss him. The most intense kind of missing someone. This is one of the things that reassures me when I question whether or not I should have become a mother. I miss my little boy the second he leaves the room. I sit and watch little video clips of him and practically beg my Mum and Auntie for photo updates and ring his childcare centre at least twice to make sure he is OK. It's nice to get a breather at times, but the second he is back in my arms I feel complete again. He has my whole heart. Watching Reid as a Dad - It's no secret that the incredibly high expectations I placed on myself and on Reid contributed to my battle with postnatal depression. I am still coming to terms with the fact that it is normal to be frustrated as a parent, and nobody can be patient 100% of the time. Having said that, watching Reid and Isaac interact is one of the most beautiful things I have ever experienced. The way Isaac squeals with excitement if he is still awake when Reid gets home "Dad! Dad! Dad!" The way they play together on weekends, the way Isaac toddles down the hallway after him if he leaves the room, the way he climbs all over him for a cuddle or to pull his beard. All of these moments are precious. Seeing the love my husband has for our son makes me love him even more. Knowing that we are his first priority no matter what just makes me so happy he is the man I married. Our relationship has been tested in new ways since becoming parents, but we are ultimately so much stronger and work as a team to make our lives as happy as possible. There are a lot more things I could write about. 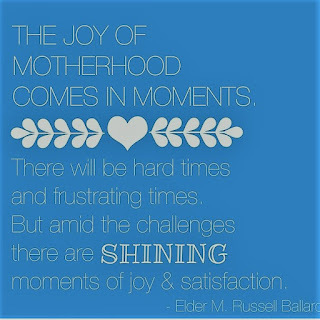 My experience of motherhood has been difficult and frustrating but at the same time it has been beautiful and I know these times are fleeting. These are the days, these are the moments I know I will come to miss. I'm in the thick of it right now and sometimes find it hard to recognise that. Sometimes I find myself wishing time away. I try to stop myself in my tracks because I know that these are times I need to treasure. When I feel like I am at the end of my tether, when I feel like the day is never going to end - I try to think about how I will feel when Isaac doesn't need me the way he does now. When he won't snuggle into my neck or climb onto my lap with a book. I have the luxury of time with just him and I need to be more aware of the fact that this time won't last forever. He is growing so quickly and I am so lucky to call him mine. There may be a lot of hard days, but amongst it all, there is always joy.